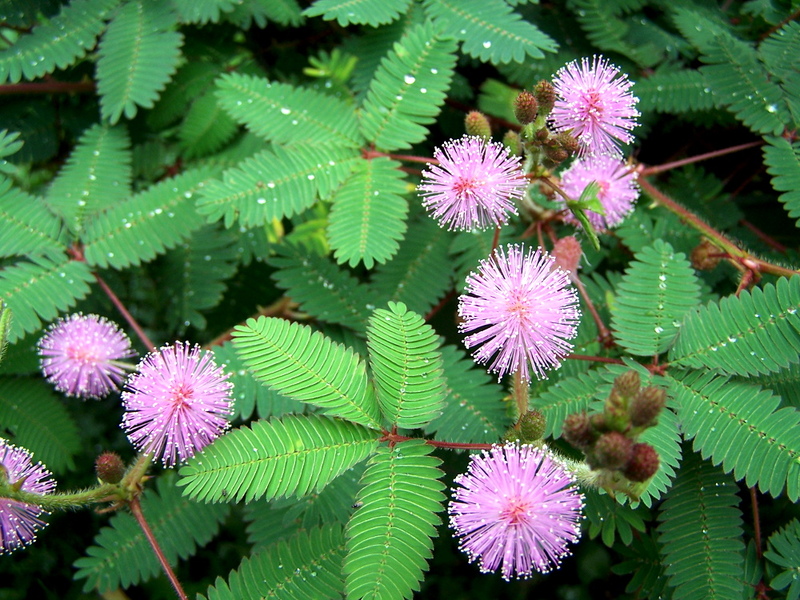 Congratulations on your recent acquisition of Mimosa pudica or sensitive plant seed. 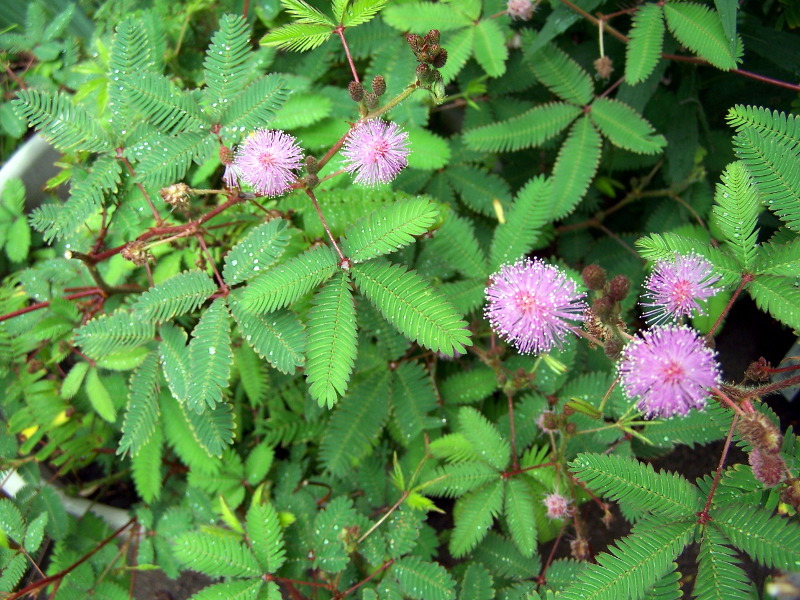 Sensitive plants are best known for their ability to rapidly move their leaves when they get touched. 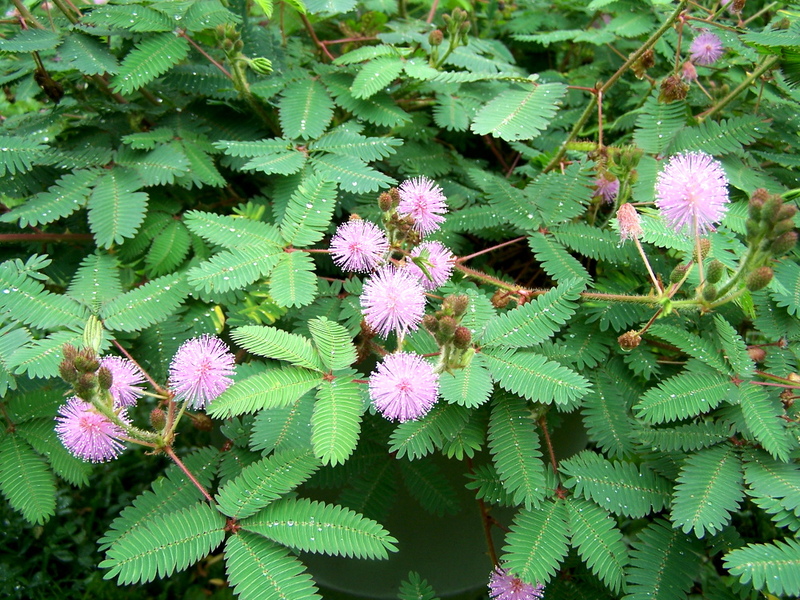 They are quite interesting to watch and many people grow them as a novelty or curiosity plant because of this ability. The seeds of these plants are very tough and are able to survive dormant under some less than ideal conditions for long periods of time while still being viable. I've had seeds stored in excess of ten years sprout right up. So, because of their toughness a little extra special preparation is needed in order to ensure the best possible germination rate for when you are ready to plant them. 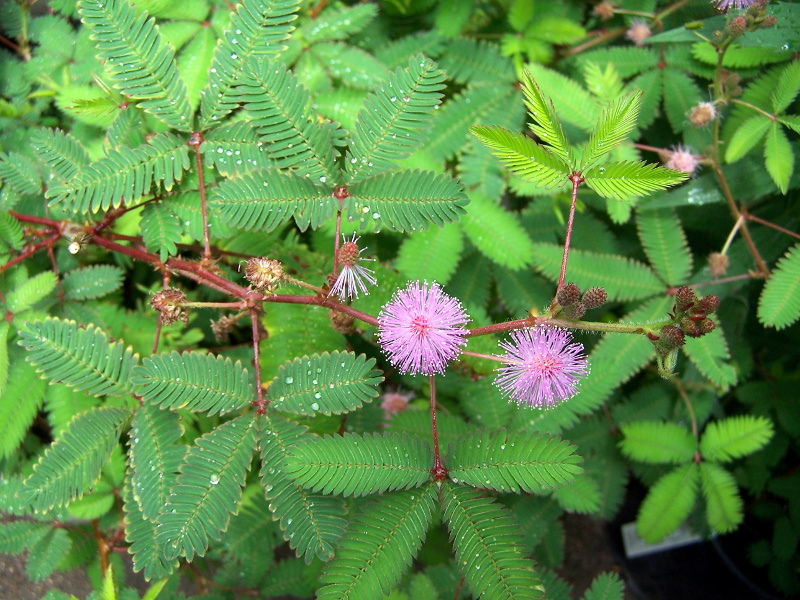 Like many plants, the mimosa have seed pods. 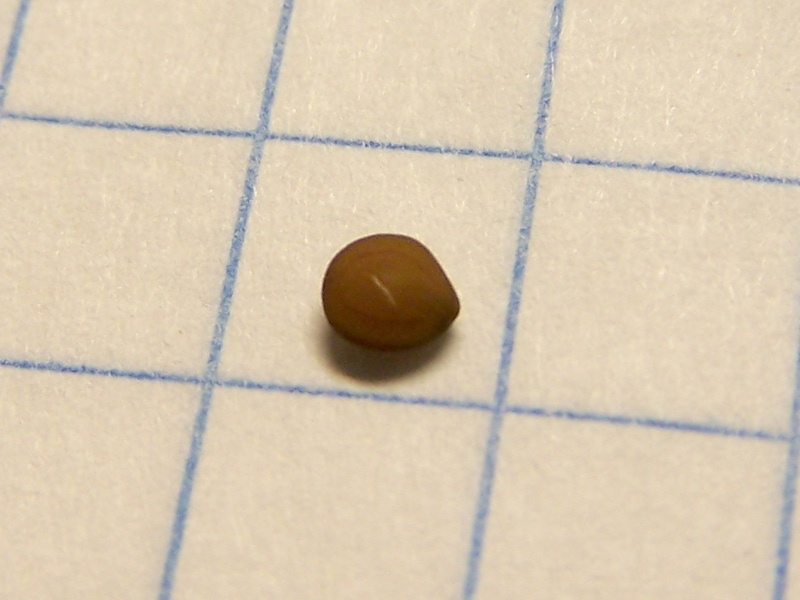 The seed will need to be removed from the pod before planting (note: For some commerically available seed packets, this has already been done). 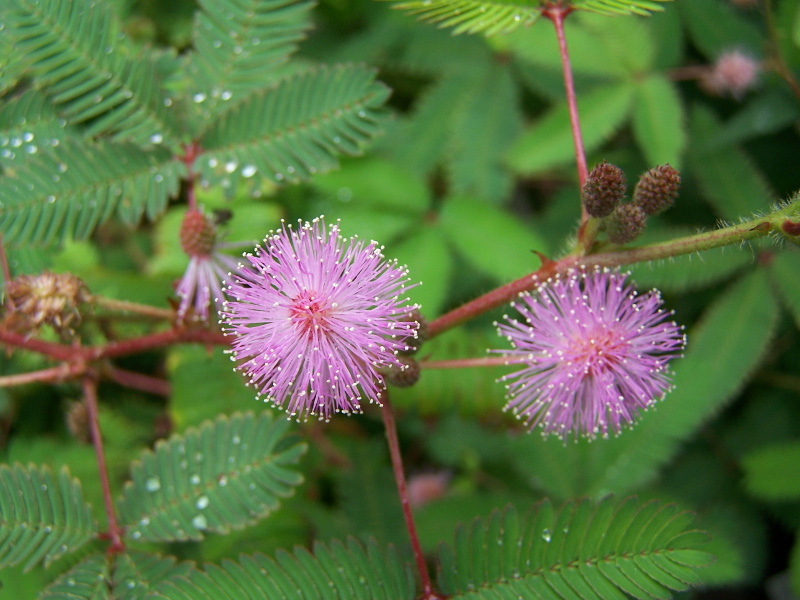 In the case of the sensitive plant, each individual seed is in a separate pod. 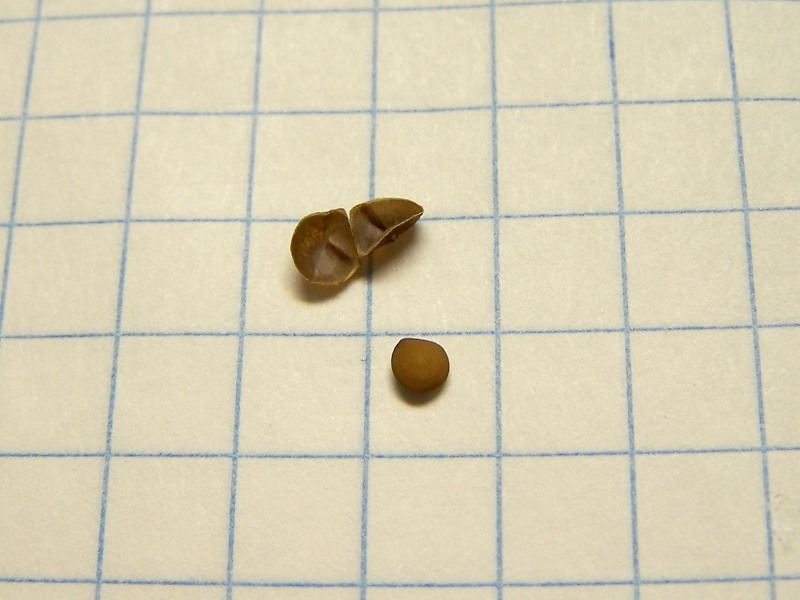 The pods can be easily be opened much like that of a peanut shell. Squeezing the ridged edge of the pod on opposite sides with your thumb and index finger will open the pod and the seed will fall out. Do this over a bowl so that you don't lose any seeds. The next step is to lightly nick the seed with a razor blade in the process of scarification. 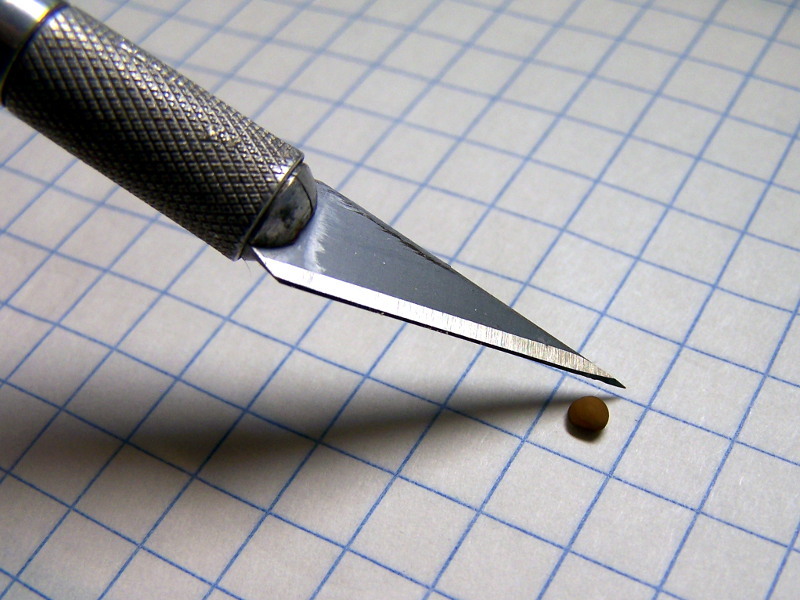 This allows water to penetrate the seed and start the germination process. Only a shallow cut is needed. 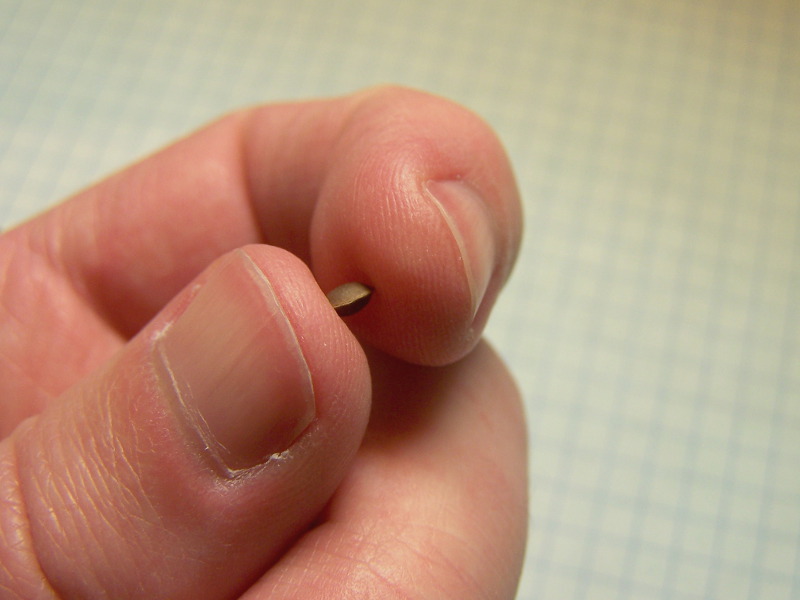 A too deep of cut may end up damaging the seed. The "baggy method" is next. 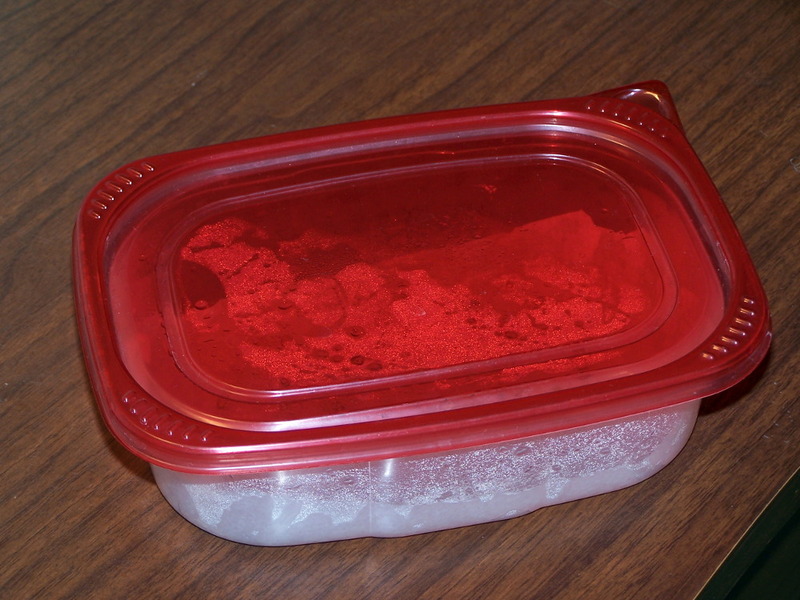 A plastic sandwich bag or small Tupperware style container with a wet paper towel lining the bottom is needed. Place the seeds on the wet paper towel, seal the container, and wait a day or two. 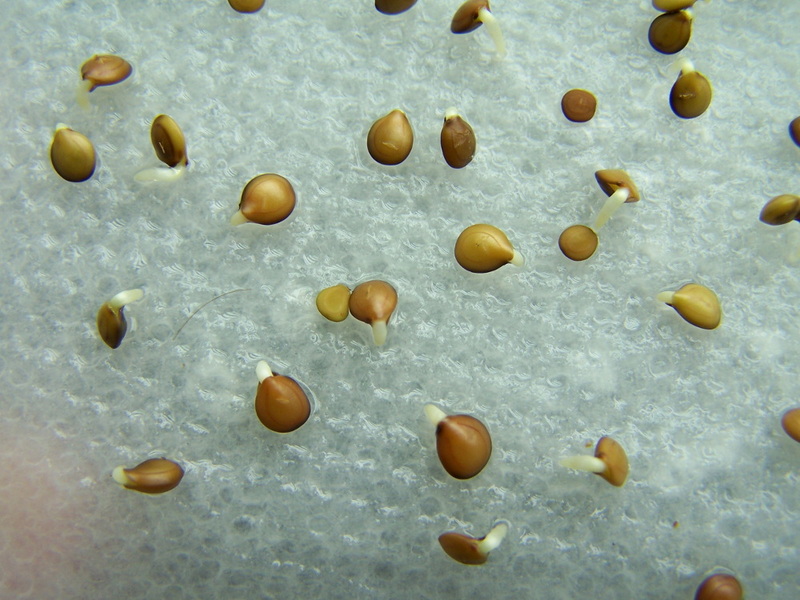 You should notice that many of the seeds have swelled and are sprouting roots. These are the seeds to use for next step. Now you're ready to plant. Medium to large sized flower pots filled with a general purpose house plant potting soil usually works well. Ensure that the pots have good drainage. Water the soil in the flower pot evenly until it starts to come out of the bottom. Remove or break up any large chunks of soil on the surface. Now take your seed and lightly press it into the soil. The planting depth should be about 5 millimeters. 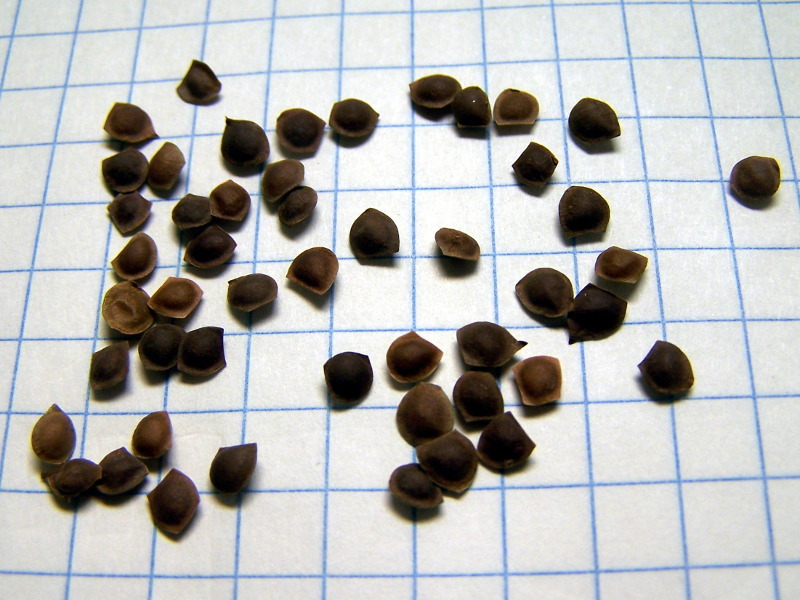 Several seeds can be planted in each pot, with a spacing between them of about 8 centimeters. Place the pot on a south facing window sill or under high output grow lights if you are starting the seeds indoors. Carefully water the flower pot every couple of days. 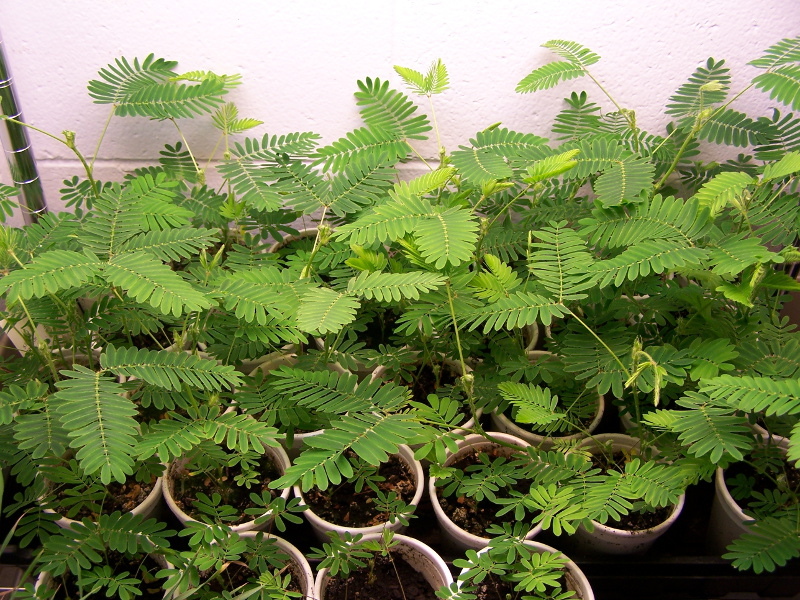 You should start to see new Mimosa pudica sprouts after just a few days! 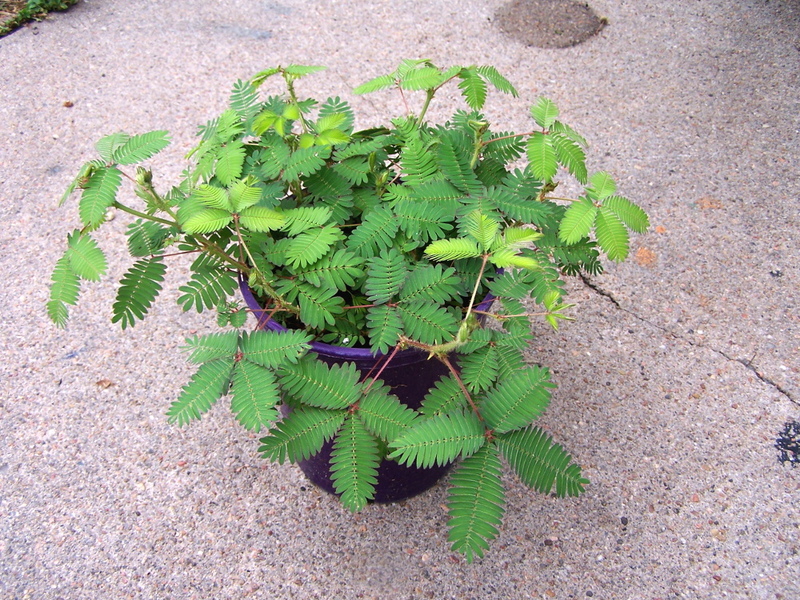 Because the sensitive plant is a tropical plant it will not do very well outdoors until the weather has warmed up. 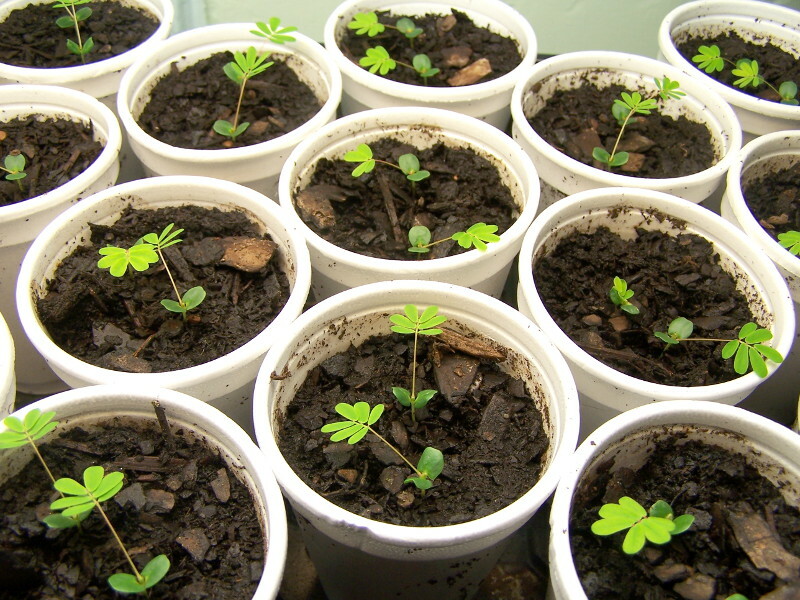 Late May or so, depending upon your location, is often a good time to start seeds or transplant seedlings outside. 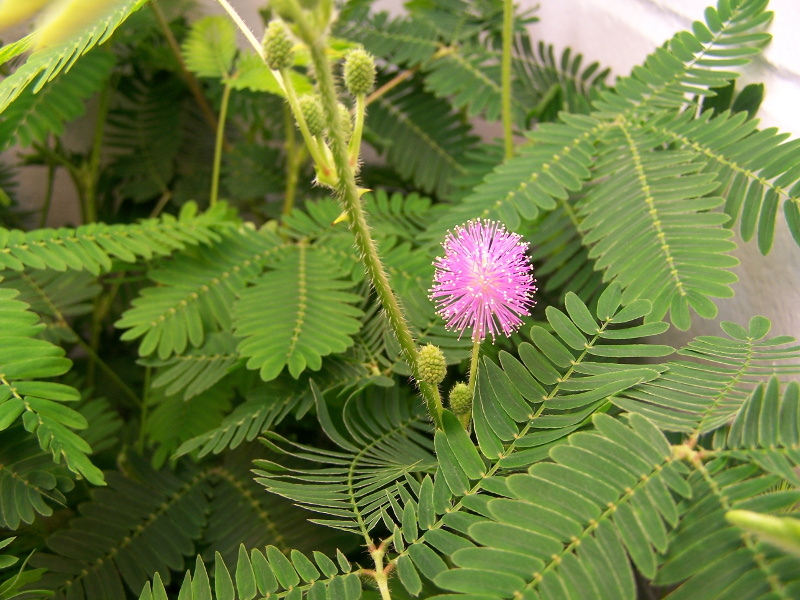 The sensitive plant also prefers to have a bit of humidity. If the air inside your home is dry then consider keeping the plant in a humidity dome. 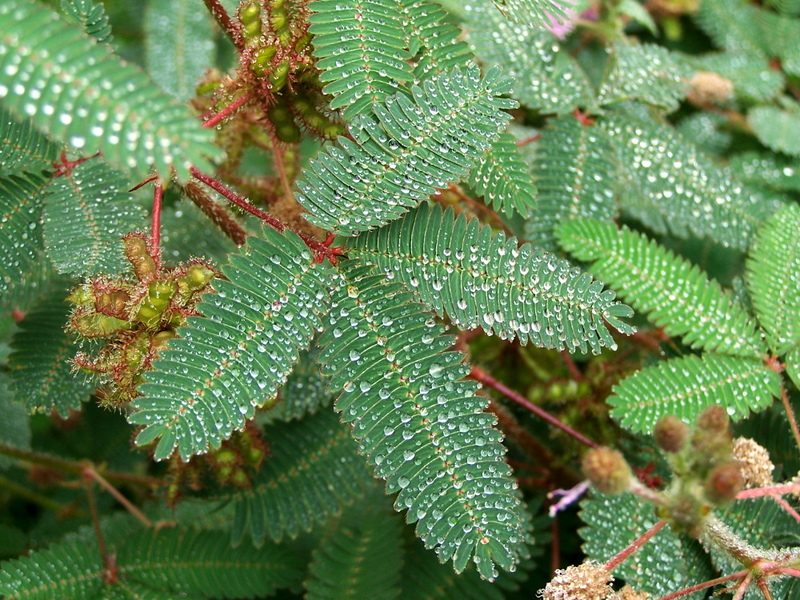 If the air gets to be too dry then the sensitive plant will drop leaves as it tries to conserve moisture. This is generally only an issue in the fall and winter months. Bright light. This plant loves getting bright light. Use a south facing window sill or high output grow lights while indoors. When planting outdoors, place the plants in an area that is generally sunny to lightly shaded. Place the plants out of reach of critters such as rabbits. A large 4 or 5 gallon sized flower pot with good drainage is perfect for a few plants and is tall enough to help keep the rabbits at bay. Despite the sensitive plant's thorns rabbits still seem to love to munch on the leaves. 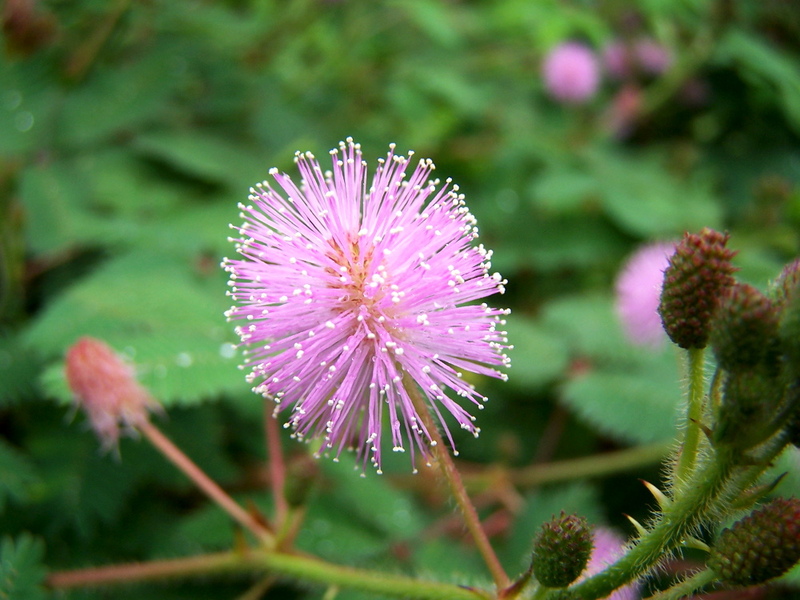 But the Mimosa pudica is fairly a resilient plant and will produce new branches if it receives a light chomping. Continue to water every other day or so. If the weather is very hot out then water every day. Also add a bit of diluted fertilizer such as Miracle Grow once a week or so.